Monarch Air Group provides private air charter in Chicago, IL. Our clients benefit from top-notch service, unrelenting dedication to safety, wide selection of aircraft, and years of experience in chartering private jets. To obtain a free quote, please use our online quoting tool provided below, or call toll free 1-877-281-3051. Monarch Air Group provides private jet charter flights in and out Chicago, Illinois, USA. Located in the state of Illinois, Chicago is one of the top ten most known cities of the world. Chicago is a centre of main international and domestic finance, rich history and diverse culture. Chicago is a home of jazz and blues, and it also has numerous contemporary architectures. Such famous architects as Ludwig Mies van der Rohe, Frank Lloyd Wright, Louis Sullivan, and I.M.Pei made their reputations here; even early twentieth century mobs such as Al Capone assisted during the prohibition to struggle for Alcohol freedom. 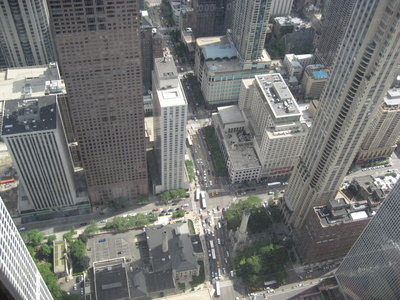 Chicago boasts fine arts, wonderful theaters, great dining places including China, Italy, and Greece, sight-seeing from numerous skyscrapers like Sears Tower (the tallest building of the world 1974-1998) and shopping. 2. BEH, Ross Field, Benton Harbor, United States. 3. CGX, Merrill C Meigs (closed), Chicago, United States. 4. CHI, Chicago FSS, Chicago, United States. 5. DPA, Dupage County, Chicago, United States. 6. ENW, Kenosha Regional Airport, Kenosha, United States. 8. IKK, Greater Kankakee, Kankakee, United States. 9. JMH, Marriott Heliport, Schaumburg, United States. 10. JOT, Municipal, Joliet, United States. 11. LOT, Lewis Lockport, Lockport, United States. 12. LPO, Municipal, Laporte, United States. 13. MDW, Midway, Chicago, United States. 14. MGC, Michigan City Arpt, Michigan City, United States. 15. NBU, NAS, Glenview, United States. 16. ORD, Chicago O’hare International, Chicago, Il, United States. 17. PWK, Pal-Waukee, Chicago, United States. 18. RAC, Horlick, Racine, United States. 19. RNZ, Rensselaer, Rensselaer, United States. 20. SBN, South Bend Regional, South Bend, United States. 1. Renaissance Chicago Downtown Hotel, 1 West Wacker Drive, Chicago. 2. Hotel 71, 71 E Wacker Dr, Chicago. 3. Amalfi Hotel Chicago, 20 West Kinzie St, Chicago. 4. Renaissance Blackstone Chicago Hotel, 636 South Michigan Avenue, Chicago. 5. Hotel Monaco Chicago, 225 North Wabash Avenue, Chicago. 6. Conrad Chicago, 521 North Rush Street, Chicago. 7. Omni Hotel, 676 North Michigan Avenue, Chicago. 8. Embassy Suites Chicago-Downtown, 600 North State Street, Chicago. 9. Courtyard Chicago Downtown/Magnificent Mile, 165 East Ontario Street, Chicago. 10. Congress Plaza, United States.